Yes! The last international break for the year is done and dusted with. From now till March 2019, it will be club action all the way! It’s the perfect time to look forward to UCL football, action from the top 5 European leagues and of course look back on what has been on the international scene. A 2011 discussion to make football even more competitive in Europe led to the birth of the UEFA Nations League. 55 European nations were split into four tiers, Leagues A to D, based on their rankings. Each tier was in turn split into four groups. Are you looking for the best odds on Premier League, La Liga, Serie A, German Bundesliga and French Ligue 1 games? Click here to browse through best odds on NairaBET and stand a chance to earn yourself some cool extra cash..
To decide the winner of the Nations League, the four nations who win the groups in the top-most tier will advance to a knockout final next June to decide the Nations League. June seems so far away. But while we wait, let’s take a look at how these finalists made it through. The Dutch side led by Ronald Koeman is probably the surprise package of the league so far – as far as the top-most tier is concerned. Grouped alongside France and Germany, they weren’t expected to be good enough to lose just one game. You can as well say they benefited, to a large extent, from Germany’s terrible outing at the tournament. They were the second highest goal scorers in League A, with 8 goals scored and just 4 conceded. Although this team conceded an average of a goal per game, scoring 15 times is a feat no other team in League A achieved during the UEFA Nations League. Theirs was a keenly contested group with Belgium coming closest to qualifying for the final. They finished the regular season with the identical number of wins and losses. But Shaqiri and co. edged Roberto Martinez’s men on goals difference. Cristiano Ronaldo had to be left out of the set up because of the scandal that he was embroiled in. His absence was supposed to leave the Portuguese side vulnerable. But the side turned the situation around, becoming the only side in League A to go the regular UEFA Nations League season without a loss. Behind Italy’s two goals conceded, the three goals conceded was the least throughout the League. Whether Ronaldo joins the set up or not next year, Portugal look on course for another title after their Euro 2016 conquest. This group was probably the most contested group in the league. No team defeated another over both legs. It was either a win/lose situation or a win/draw case. In the end, Harry Kane successfully captained the England side to the finals set for next year. It remains to be seen how these finalists will gel next year. 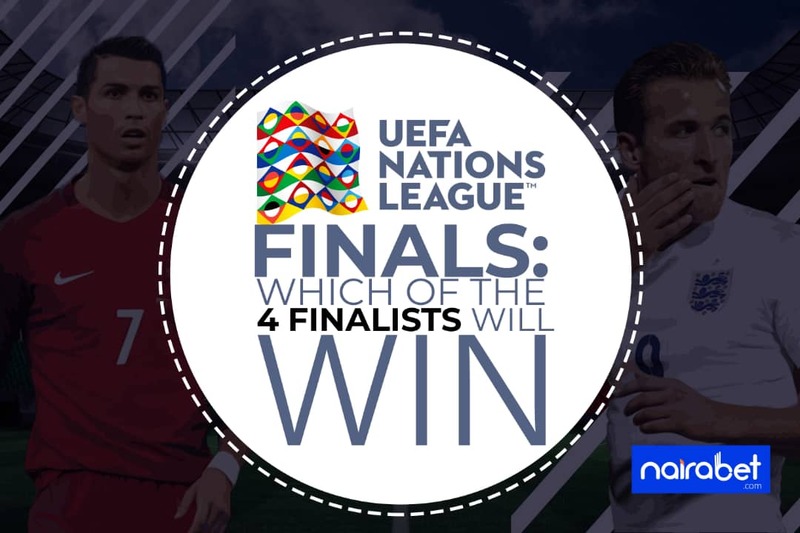 Which of them can go all the way to be the first winner of this inaugural edition of the UEFA Nations League? Leave us a comment and share your thoughts with us.